EU Commissioner for Humanitarian Aid Kristalina Georgieva believes that more access and freedom of movement will solve the humanitarian crisis in Gaza. "The humanitarian crisis in Gaza is not normal, it was artificially created because of the blockade," she said in an interview with Ynet after a three-day visit in Israel and the Palestinian territories. "There is no reason for there to be a crisis, not in the West Bank and not in Gaza. If Palestinians had more opportunities, it would translate into more security for Israel." Georgieva, a native of Bulgaria, was appointed as Commissioner for Humanitarian Aid in January 2010. She has since coordinated European aid for Haiti and Chile and has worked to support Darfur. She has also been honored as "Commissioner of the Year" for her work. During her visit in Israel, Georgieva met with Palestinian President Mahmoud Abbas and Palestinian Prime Minister Salam Fayyad. "If you give people a chance, as we've witnessed in the implementation of Salam Fayyad's bi-annual plan, it leads to growth in employment and to creating hope. It’s a simple fact – anyone deserves to live with dignity and that includes access to education, work and the possibility of moving freely. When these things are absent frustration is born." The EU commissioner claims that Israel's security needs can be met without imposing a blockade on the Gaza Strip. 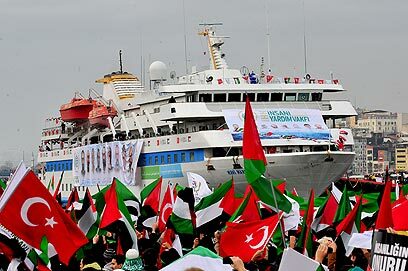 "Before the blockade, humanitarian support in Gaza was for 10% of the population. Today, this figure is nearing 70%. If restrictions are lifted, there will be no need for humanitarian aid," she said. Georgieva nevertheless stressed that she does not approve of the flotilla phenomenon. "We are not in favor of attempts to help people in this way. One needs to work with the authorities in Israel in order to transfer humanitarian aid via the formal channels, and for this reason we implore the Israeli authorities to ease the passage of goods. We want to see all passageways open and all essential goods transferred. Today it is difficult to transfer vital commodities." 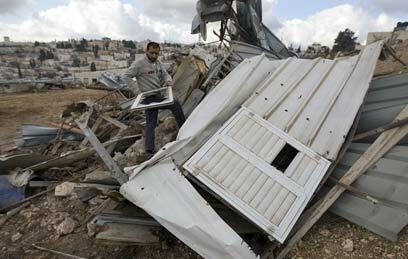 Georgieva's duties as the EU's humanitarian aid chief include helping Palestinian families whose homes are in danger of being razed by Israeli authorities and providing them with legal assistance. According to Georgieva, 60,000 such households are in danger of being evicted. During her tour of east Jerusalem, she met some of these families. "I hear many people saying that they are refugees from 1948," she said. "They left their land, came here, received legal guarantees from the Jordanian authorities and the UN that this is their home, where they can live with their families, and now they face additional pressures. My sense is that they have been wronged twice, and two wrongs don't make a right. I think that it's very important from a legal perspective that they get a fair hearing. "As a commissioner for humanitarian affairs, my voice is meant to express the needs of the most vulnerable people," she adds. "These are the Bedouin communities in Area C, the elder families in east Jerusalem who are dealing with the threat of eviction and the demolition of their homes, the kids in Gaza who are growing up in fear, and their unemployed parents…These are people who are deprived of opportunity, and that creates an unnecessary humanitarian crisis." See all talkbacks "EU official: No restrictions – no Gaza crisis "